This an edited extract from P.J. 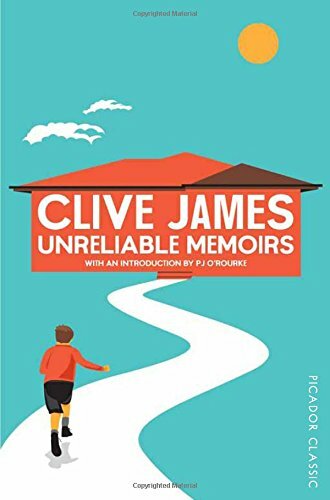 O'Rourke's new introduction to Unreliable Memoirs by Clive James, published by Picador. What accounts for Unreliable Memoirs being the best memoir in the world? And by that I mean no backhand compliment. The memoir genre has suffered an over-grown pullulating decadence of bloom in the 35 years since Clive's work was published. One need only be bitten by a shark or fondled by a stepdad to unload one's history upon the reading public. Nowadays to say "best memoir in the world" is almost to say "best fart in an elevator". But do not blame Clive. His book trails none of the stink of the up-to-date memoir. Especially it has no funk of message — no fetor of " setting goals", no reek of "courageous persistence", no effluvium of "self-acceptance", and none of the fetid compost-heap putrescence of "finding my inner me". Nor does Clive ever fall back upon that most pathetic trope of storytellers, "And it really happened." On the contrary Clive starts his preface to Unreliable Memoirs by saying, "Most first novels are disguised autobiographies. This autobiography is a disguised novel." Thus Clive becomes, so far as I know, the first honest memoirist. And, so far as I see, the last. What a wonderful photo. 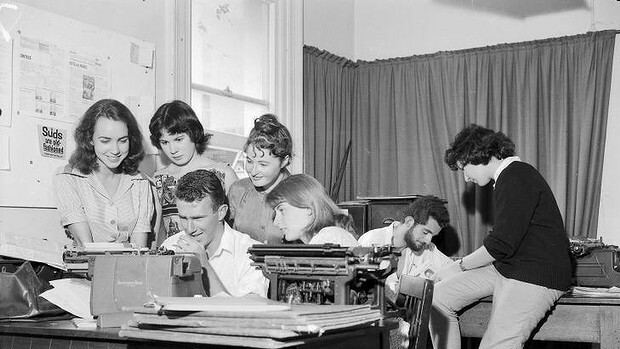 How impossibly long ago 1960 seems: I wonder where they all are now. Some of them may have been in the book of course.